Last week we published the first part of the article Digital Transformation Means Putting People First by Tallyfy. Tallyfy is a USA-based company that provides a powerful cloud app for tracking the status of repeatable processes with the help of checklists. Tallyfy is elastic.io’s customer and partner who uses our integration technology to add the integration functionality to its product, thus allowing its customers to connect it to any other application easily and fast. This week, as promised, we share with you the second part, in which you’ll learn how IT’s role is evolving in the era of digital transformation and what types of IT culture encourage digital transformation most. The IT organization is as critical to Digital Transformation as it is to the legacy model. But the shift to a Digital Transformation strategy requires changes in mindsets and in roles. IT leaders need to start building the strategies and tools to be successful in this evolving role. Stronger business relationships: Digital Transformation starts with an understanding of the business user and their needs. IT teams need to collaborate closely with business units to deeply understand business user needs and preferences. IT should be a key player in every new business initiative from its inception. New skills and knowledge: In addition to broad business knowledge and strong communication skills, IT teams also need a deep understanding of business data structures and how data flows between apps and users. While specialist skills are always valued, there’s a role for the IT generalist capable of taking a systems-based view of business processes, as well as individuals with a good understanding of the cloud stack. And to be successful, today’s IT practitioners need to be lifelong learners, ready to evaluate a constant flow of new technology possibilities and opportunities. Flexible tools and technologies: In a cloud-enabled world, IT fills an essential role identifying, curating, provisioning and integrating the right tools and technologies to enable Digital Transformation in computing. These will include cloud applications, solutions for embedded and frictionless security, identity and access management processes, and integrated systems from the user to the infrastructure. In an environment with many interlocking systems, open standards and interoperability will be critical parts of the overall architecture. Imagine a company with 19 different file sharing and collaboration services. This company’s various working groups engaged with cloud services for the purpose of sharing information more easily. Ironically, the end result of this situation is that effective collaboration is actually harder, as each different file service creates a new silo of information. Digital Transformation means understanding not just which cloud services employees have purchased or signed up for, but also which ones they actually use and get value from. IT’s responsibility is to lead the evaluation of those services for risks and benefits, standardize on the ones that best meet business needs, put in the necessary security controls without degrading the user experience, and promote these services across the entire organization. In this way, IT maximizes the value of the cloud services and helps drive an organized, secure, and productive path to the cloud. How Do You Get To Digital Transformation? The path to Digital Transformation relies as much on cultural change as technology choices. How you get there will depend on where your current IT culture falls on the spectrum of adopting new technologies and approaches. Innovative IT leaders are quick to adopt new technologies for competitive advantage, as they are closely aligned with business priorities. If you fall in this category, you are already putting your users first. Try taking a holistic look at what business users need to drive the business forward and find strategies to integrate identity, security, and other controls in a systemic and seamless way to empower users. Align with partners who share your vision for Digital Transformation so you can inspire business users and become enablers of business success, rather than merely supporting users. These businesses adopt new technologies before their competitors if possible – trying to be first movers or fast followers. Business users have input, but may have to wait longer than they would like for the wheels of business to grind. Sometimes this wait is due to legacy investments, other times it’s due to misalignment between leaders in the business. If you’re an early adopter, then you’re probably already using cloud computing as part of your IT strategy. Legacy mindsets may be preventing you from being as agile or as user-focused as you like. Make cloud computing a larger part of your IT strategy. You’re ready to embrace the five principles of Digital Transformation, aligning current and future IT initiatives with those principles as well as with business objectives. Mainstream IT organizations wait for technologies to be proven and well adopted before taking action. These IT organizations usually maintain a firm grip on technology investments but do maintain relationships with the business units, considering their needs as one data point in technology initiatives. If you fall in this category, it’s time to strengthen your business unit relationships and start putting the business user at the center of IT designs and plans. Figure out what people are doing today (with or without your knowledge), and look for ways to address their most significant work needs up front, while laying a groundwork for the technology you need moving forward. Engage with business leaders to build a roadmap for delivering the tools and technologies your organization needs to become digitally transformed and fast moving. Start a pilot with a department, or small group of users, to validate a new technology before wide deployment. Conservative IT organizations are often skeptical about mobility and cloud computing, and need strong ROI, detailed user cases and proven customer stories (preferably in their own industries) to move forward. IT is often about command and control and maintaining the status quo. If this sounds like your IT organization, then your first step is to recognize that your employees have most likely embraced cloud and mobile services already, with or without your blessing. Gain an understanding of the top two or three services your business users are using, weave them in to your IT processes and make them available to more users. Engage with your business users and start defining a path towards becoming digitally transformed organization. Try a small pilot of a cloud-based solution that addresses a significant business need – using the pilot to identify skills gaps, concerns, and core assumptions built into current processes. 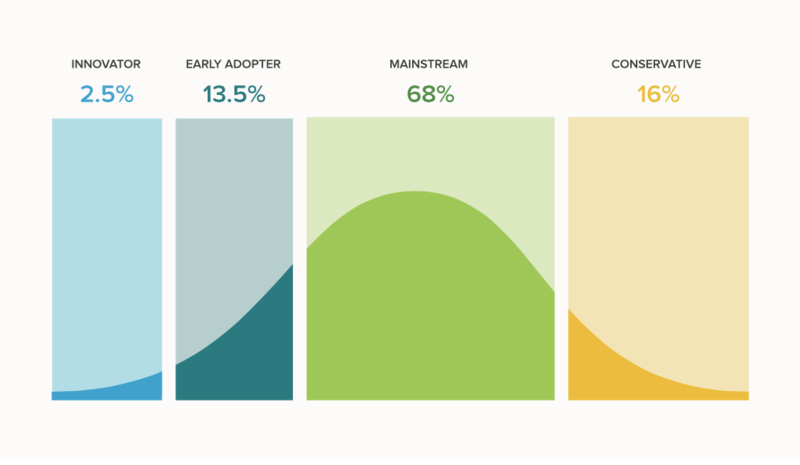 Be sure to measure results, adoption, and user satisfaction at every phase of the pilot. Optimize your apps before deploying them to a larger set of users. IT leaders have a key decision to make: either embrace a new model of IT or risk becoming irrelevant. The forces of the information economy – including social, mobile, analytics and cloud – are unstoppable and they are pointing businesses towards a Digital Transformation approach to IT. Depending on where you are with current IT organization, getting to the vision of Digital Transformation is not trivial. Putting the business users at the center may seem almost radical in some organizations. And technology alone isn’t enough. There’s no way to do a ‘forklift upgrade’ to Digital Transformation infrastructure, and no single technology blueprint to deploy. That’s exactly the point – the actual solutions vary with business user needs. The core technologies are themselves changing almost every day, and will continue to evolve. What you need is the IT culture, mindset and approach to create a technology architecture that will be resilient to ongoing technology change while unswervingly serving the business interests. Helping business users be better, smarter and faster at their jobs is the ultimate pay-off for adopting a Digital Transformation approach. End of the first part of the article Digital Transformation Means Putting People First by Tallyfy. Visit www.tallyfy.com to learn how you can use the Tallyfy solution to streamline your own repetitive processes. Looking for an integration partner for your digital transformation? Co-Founder and CEO of Tallyfy - Business Process Management. Visit the website at www.tallyfy.com.